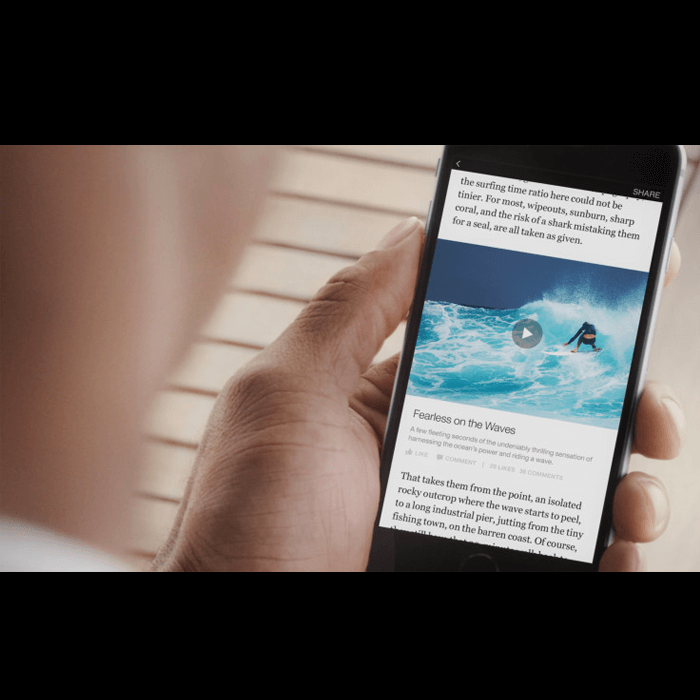 Facebook News Feed is stuffed with so many videos already, and as per a new announcement it would be giving preference to the long ones. Lengthy videos would be higher on priority in terms of ranking on the News Feed. About this, Facebook has already hinted that due to completion rate algorithm would face some changes. Facebook seems to give more weightage to the ‘completion of percent’ of the videos especially if they are long. ‘Percent completion’ means how much portion of the video has been watched, this is still a point of reference for Facebook to decide the ranking of that video, along with the factors like to turn-on sound while watching, to go full-screen, and more. Therefore, it’s not just about a loop of five to six seconds video rather it’s almost like giving An experience of Television to the viewers through News Feed. In a way, it’s quite similar to the basic characteristic of YouTube, which also classify video content based on the watch time-duration. See also: How Facebook plans to combat fake news. Though the complications and hidden traits are still there in Facebook’s algorithm, yet this seems to clarify few facts such as till this announcement was not mad, Facebook was not so inclined towards the watch time or length of the videos being shared. This also doesn’t imply that you won’t be able or allowed to see the short videos as Facebook has been saying this for a while now, as a responsible source of content sharing, that longer videos doesn’t label it a better one than the shorter. The length of the video is not the deciding factor for the quality of video rather the content shown decides the length, and whatever length is suitable for a story to tell depending upon the subject should be good enough. In case, the publisher is willing to post short video content or offers only videos of short-duration, say 60 seconds, even then Facebook would be up for it. Like Instagram is already doing it. To be precise, the reason of change in Facebook’s algorithm is the profit in monetary terms. YouTube and Facebook have been trying to incorporate the advertising with the suitable content. On one hand, YouTube is offering pre-roll ads, whereas Facebook is looking forward to go with the mid-roll ads. The mid-roll ads are designed to appear only after 90 seconds of the video. It’s a reminder for publishers from Facebook that to earn profit from the video content preferably, they should be longer. Facebook is expecting a change in the watch time pattern of the viewers as well. The attention span is likely to increase as the viewers would find them engaging and knowledgeable. However, it’s not going to affect each and every business page as their distribution of content might not necessarily include video content. This would be a step to empower publishers to start showing confidence in long videos, which would ultimately lead to an improved viewership. This change automatically would reflect as a profit earning source for the publishers as well as Facebook.